-- Laura's introductory class on the art of reading cards will include a complimentary pack of playing cards and a sharpie to create your own study deck as well as a copy of The Suicide King's Quick Guide to Cartomancy booklet. Reading cards is a great way to bring a sense of playfulness to your practice! -- Click here to sign up! - Join us for our monthly gathering as we chat about Kitchen Witchery - lets trade some recipes, talk about food, and also check in for open chats about anything & everything! -- Come join us Friday for our First Friday Art Walk with artist Joyanna Trotter of Heavy Metals Jewelry & Tarot Readings by Alessandra Dzuba! -- Let us know you are coming here!! :: July 7 :: First Friday Art Walk - Hey Y'all! If you aren't all partied out from Tuesday, you should swing by Oracle for a 3 Card Tarot reading and a refreshment! We have new witch bundles and bat skeletons and some stunning new framed insects and butterflies to share with you! :: July 22 :: Oracle at RitualCravt! Oracle's artists Jane Almirall, Alessandra Dzuba, and Ash Miyagawa (also illustrator for For Strange Women) will be at Ritual Cravt in Denver, CO. Come check us out and say hello: we will have original art, prints, curio boxes, framed specimens and other goodies for sale! Cabinet of Curiosities - a Specimen Workshop with Mickey Alice Kwapis. Build your own Still Life Lantern! :: April 7th :: First Friday Art Walk - Pop Up Shop with Sweet Destructor!! Also, Alessandra will be offering Three Card Tarot Readings for $10 from 6:00pm - 8:00pm and we'll be staying open late, until 9:00pm!! :: April 21st :: Tarot & Tea 4:00pm-7:00pm - Join us on Friday for some tea and discounted 3 card pulls (only $10!). Get some self-love and perspective on how to reach your potential! 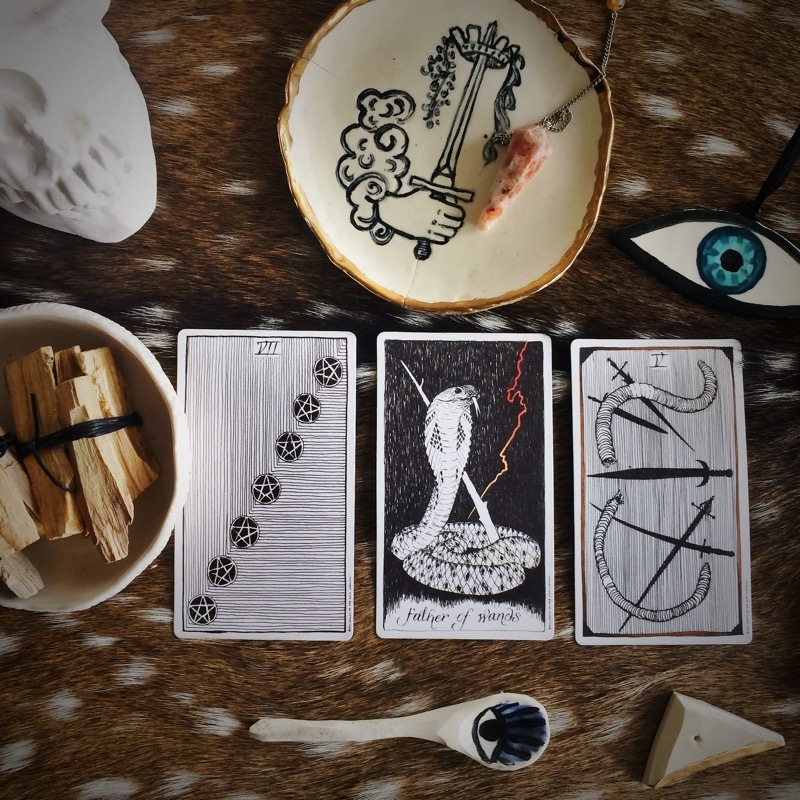 Three card pulls are great for answering questions or needing some clarity on pressing matters… or heck, even just for fun and some hot tea! :: April 28th :: Still Life Lantern Workshop -- Friday from 6:00pm-8:00pm: Learn the tricks of the trade and create your own Still Life Assemblage Lantern - ours retail at $120 so this is quite a steal! We supply everything you will need to construct a one of a kind decorative piece that you take home after class. We provide instruction for the handling and posing of preserved butterfly specimens - additionally, we will discuss the meaning of the stones and crystals you choose, as well as the symbolism of color and the basics of composition. The class fee includes all of the tools, insect specimens and decorative components needed for your beautiful Still Life Lantern. We have room for 8 students and classes fill up fast - sign up early, here!! :: April 29 :: Pop-Up Shop with Gigi Moon Gems! 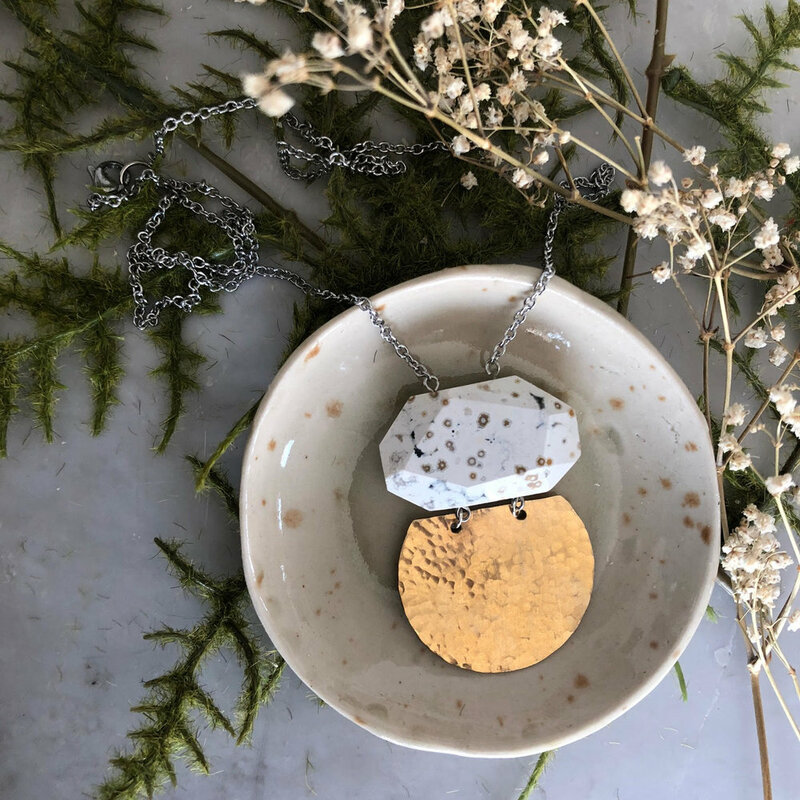 Saturday from 1:00pm to 4:00, Artist Garnet Griebel Booth will be showcasing pieces from her New Moon jewelry launch, it's going to be a gorgeous show, y'all! Oh man, do I ever love this incredible Sweet Destructor piece! :: August 5 :: First Friday Art Walk - Oracle is hosting a pop-up with ceramic artist Sweet Destructor from 6pm-9pm, come find the perfect vessel for your daily rituals - just when you thought the night couldn't get anymore awesome, we have confirmation Skeleton Key Tarot will be joining us and doing mini readings in the shop as well! We will be staying open late, mixing potions and generally making merry - come sip and shop with us! :: August 9 :: Numerology Happy Hour with Carrie Parker from 4:30pm-6pm, $10. Come say hi, have a refreshment and get your numerology on! You can sign up here on in person at our shop - see you there! Pssst - You can register online, here! :: February 5 :: First Friday Art Walk - We stay open late and you get to party! We will be doing Tarot readings and Numerology readings and serving adult beverages - Come warm up with us! :: February 9 :: Numerology Happy Hour - 4:30 to 6:30 pm!! Come get your Numerology readings with Intuitive Consultant (and All Around Badass) Carrie Parker! $10 per reading - don't miss out! :: February 20 :: Still Life Drawing Class - 3:00 to 6:00 pm at Oracle, $10! Instruction provided for this fascinating class - we construct a still life using natural science ephemera from our shop's collection, and for those old enough to legally enjoy it - we supply adult refreshments!! :: December 4 :: First Friday Art Walk!! You know the drill, we stay open late and serve up some cheer in the form of White Russians while Skeleton Key Tarot provides psychic self surgery from 6-9 pm!! :: December 15 :: Numerology Happy Hour --Tuesday evening from 4:30-6:30 pm you can get Numerology readings with our Potions Master Carrie Parker! $10 per reading - don't miss out! :: December 22 :: Winter Solstice Y'all!! Come celebrate with us and shop for your loved ones (or, you know, your self - we like self love)! First Five customers will receive a free Winter Solstice Bundle! :: November 6 :: First Friday Art Walk! In belated celebration of the Day of the Dead, we will offer 10% when customers arrive with their faces painted in Day of the Dead fashion! Skeleton Key Tarot will be in da house providing mini-readings from 6:00-9:00 pm. Because we love you and want you to be happy, we are not only staying open late but will provide a delicious libation! :: October 2 :: First Friday Art Walk! We will have the Lovely and Talented Rita of Skeleton Key Tarot doing mini-readings in the shop from 6-9pm. 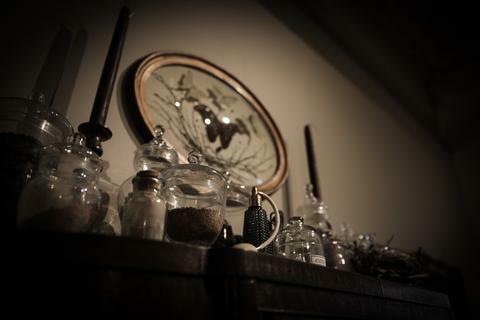 Potions Master Carrie will concoct a delightful libation for the evening and we will be staying open late for y'all! :: October 10 :: Butterflies 101 Workshop - This two part entomology spreading course is a basic introduction to spreading and framing butterflies. We provide everything you need - including two butterflies and a frame for display - you will learn how to rehydrate, spread, preserve, pose and frame your specimens. *Because it takes some time for butterflies to dry, students will also need to come back on October 17th for the final stage of butterfly presentation - framing! Sign up early here, our classes fill up fast and we only have 8 seats! :: October 24 :: Kid's Workshop - 2:00-4:00pm - Investigate and find bones in owl pellets, sugar skull drawing and temporary tattoos! *more to come! :: October 30 :: Fraction Print Studio is hosting a closing party for Visceral Beauty, an art exhibit by Alisa Ross from 5:00pm-8:00. THERE WILL BE BRAIN CAKE. THIS IS NOT A DRILL, THERE WILL BE BRAIN CAKE. :: October 31 :: IT'S HALLO-FREAKING-WEEN PEOPLE!! Come bring your little ghouls and goblins in to Trick Or Treat!! :: September 4 :: It's First Friday Artwalk Y'all!! 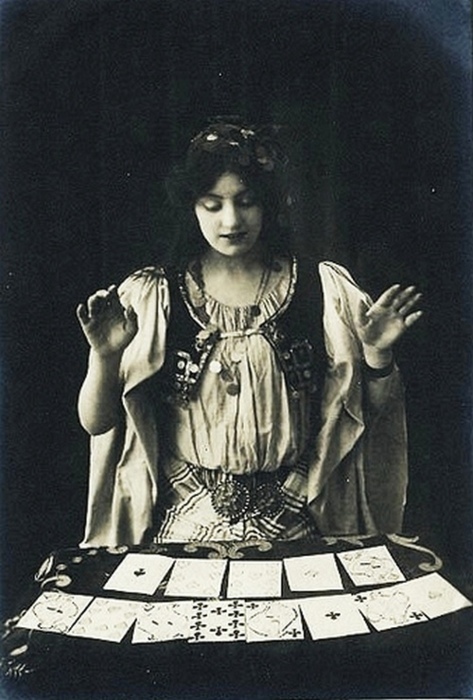 We will have the lovely and talented Rita of SKELETON KEY TAROT in the house doing mini-readings from 6pm-9pm. As per usual, we will be staying open later than usual and will have refreshments for your parched throats. :: September 8 :: Numerology Happy Hour -Tuesday evening from 4-6pm you can get Numerology readings with our Potions Master Carrie Parker! :: September 26 :: Tarot Reading Happy Hour - Saturday evening from 2-5pm with resident Bone Wizard and Noted Veela, Alessandra Dzuba! :: February 14, 2015 :: Skeleton Key Tarot will be in the house this Valentines Day - perfect time to come get your reading! Sign up early, Rita books fast!